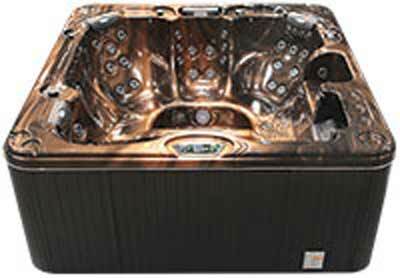 The Escape E864L is an eight-foot hot tub with lounge and contoured captain seating for up to six. 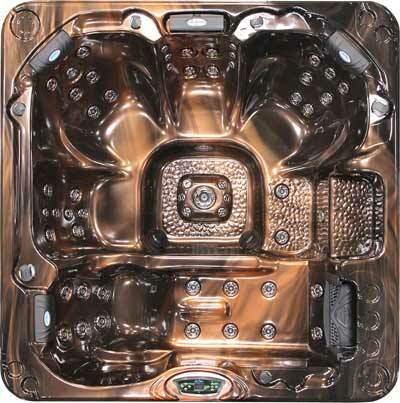 The E864L features 64 sleek stainless jets in a variety of sizes and configurations to deliver a soothing hydromassage. Standard features include three pillow headrests, a cascading waterfall, available LED lighting and a standard Ozonator for easy spa maintenance. Dimensions:93" x 93" x 39½"